…Welcome to the online home of Radio BGM! 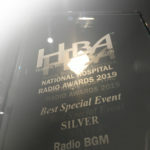 Award winning Hospital Radio serving the Prince Phillip Hospital in Llanelli. We are always on the look out for more volunteers to add to our already dedicated team, so please do get in touch if you fancy getting involved! Read more We’re a Winner !